Homer Bailey takes the mound for the final time in the 2011 season tonight, against the Metropolitans of New York City. Discuss the game here. Go Redlegs. I had a chance to check out Citi Field earlier this summer….and WOW, by far one of the top 3-4 parks in Major league baseball. To go from the dump that was Shea to this wonderful field is something. It makes our GABP look old, dingy and nothing special. The Mets did it right. As for tonight’s game I hope Homer goes out strong…. If they spend their money and players on an established SS and top end pitcher, I could live with this line up for next year. Ideally Alonso would still be around and get a lot of time; but I would be OK with Heisey, Alonso and Sappelt sharing LF/ CF (obviously Alonso never sees CF). People keep screaming for a top end pitcher…who is this pitcher? What top end pitcher will be a FA next year? What top end pitcher would fit into our budget? It’s nice to want, it’s a complete other thing to have the resources to get it. dn1492: People keep screaming for a top end pitcherÃ¢â‚¬Â¦who is this pitcher?What top end pitcher will be a FA next year?What top end pitcher would fit into our budget?ItÃ¢â‚¬â„¢s nice to want, itÃ¢â‚¬â„¢s a complete other thing to have the resources to get it. 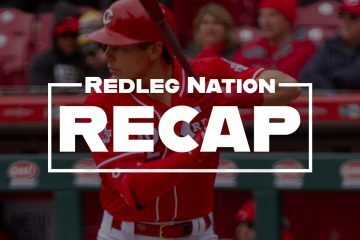 The fantasy that some of us have is that a starting pitcher-rich team that needs offensive help – like the Giants, the Rays, or Seattle, would part with one of their studs for a couple of the Reds’ young hitters and maybe one of the Reds’ young pitchers. Those are the resources the Reds have. The problem is those teams are not going to part with a top of the line pitcher for players like Francisco, Volquez, etc.. They’re going to want real talent, top-of-the line prospects or players who would be missed. I can’t possibly judge such a trade without seeing the particulars, but WJ has made it clear that he blames this season’t failure more than anything else on the starting pitching, and that there will be off-season moves this time around. I cannot wait until next year so I don’t every have to see the name Renteria on the Reds line-up card. I cannot wait until next year so I donÃ¢â‚¬â„¢t every have to see the name Renteria on the Reds line-up card. So you don’t think he will be back? This year it was Edgar/Janish, next year Edgar/Cozart…I can see that happening.. So you donÃ¢â‚¬â„¢t think he will be back?This year it was Edgar/Janish, next year Edgar/CozartÃ¢â‚¬Â¦I can see that happening.. They are crazy if they bring back Renteria especially if Dusty is still around. dn1492:So you donÃ¢â‚¬â„¢t think he will be back?This year it was Edgar/Janish, next year Edgar/CozartÃ¢â‚¬Â¦I can see that happening.. I could see it too. I don’t agree, but the thinking will be that they need to back up the young guy with a “proven veteran”. Also there won’t be much of a need for Janish as a late defensive replacement, with Cozart out there. Earl Weaver: If you play for one run, that’s all you’ll get. Same old Homer. Another big inning for opposition. @dn4192: You don’t think Dusty classifies Janish as a “veteran player” by now? I could easily see Paul platooning SS w/ “the kid” next year…living in Dusty’s World, that is. @dn4192: You donÃ¢â‚¬â„¢t think Dusty classifies Janish as a Ã¢â‚¬Å“veteran playerÃ¢â‚¬Â by now? I could easily see Paul platooning SS w/ Ã¢â‚¬Å“the kidÃ¢â‚¬Â next yearÃ¢â‚¬Â¦living in DustyÃ¢â‚¬â„¢s World, that is. Dusty would not see Janish as a “proven veteran”. So is Heisey playing his way into the 2012 line up or to the top of the trade bait list???? @OhioJim: Dont’ know, but it’s one or the other, I think. CoCo had no command tonite. Now that WAS a lucky save, the Mets should have let Evans hit. 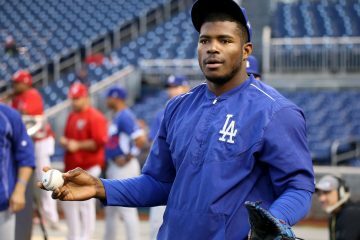 @OhioJim: I would be very upset if the Reds spent a lot of money on an “established” SS. That’s no longer a need, let Cozart play.